One of my ranches in Texas has a couple Axis Deer they would like to take off the ranch. The ranch is located near Leakey, Texas (pronounces lakee, for you northern guys, LOL). The ranch has very good numbers of Axis Deer. 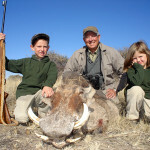 We are doing a 3 day hunt, food, lodging, trophy fee and pick up from San Antonio, TX included. The ranch is 3,000 acres with a nice lodge onsite. In addition to the Axis Deer, we have a 1,000 yd rifle range on the property we can also shoot a few pigs and varmints as well. The hunt is spot and stalk, but the biggest benefit of all is the hunt will be guided by your truly. Black Buck are available for $2,500 and female Axis Deer are $400. 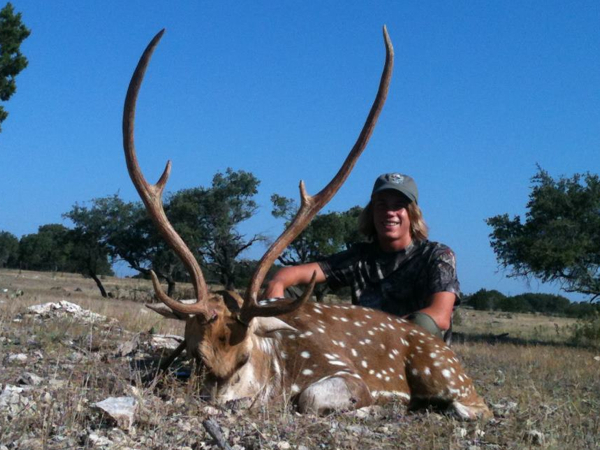 Please contact me for more details on this Axis Deer hunt Texas.